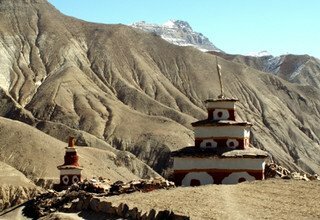 Lower Dolpo Trek is one of the most exciting and challenging treks situated in the western hills of Nepal, which allows the trekkers to experience the real adventures of trekking on an off-the-beaten path, composed of steep sloppy hills. 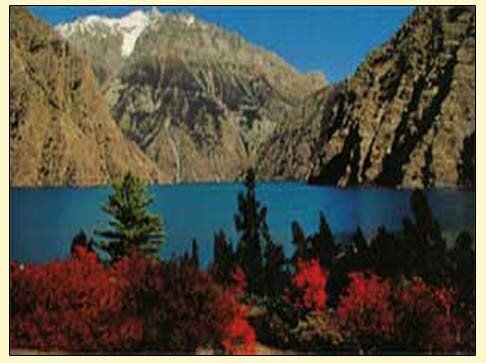 Lower Dolpo Trek is packed with amazing gifts of nature, including Shey Phoksundo Lake and also boasts of the pre-Buddhism Bon Po culture. 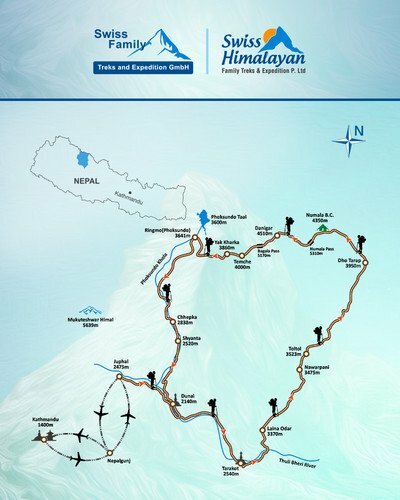 The 18-day Lower Dolpo Trek begins with a flight from Kathmandu to Juphal via Nepalgunj. 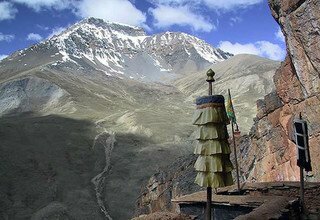 Juphal is the starting point for this trek. You trek through semi-desert region combined with densely forested path filled with pine, rhododendrons, bamboo, and juniper trees along with trails made up of huge meadows, brown landscape, and terraced colorful fields. Admiring the beautiful rain shadow landscape of the Himalayas, you also enter the beautiful Shey Phoksundo National Park, inhabited by endangered animals like snow leopard, Himalayan musk deer, blue sheep, and so on. 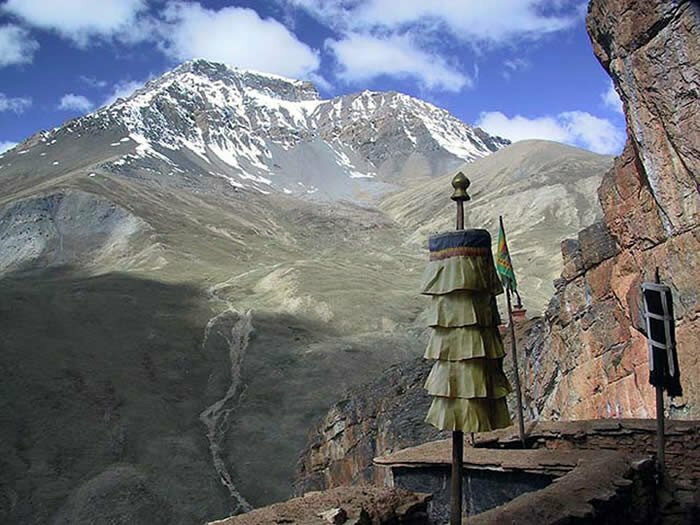 The trekkers also traverse through two high passes: Numa La (5360m), the highest point of the trek, and Baga La (5070m). Both these passes offer extraordinary views of Mt. Dhaulagiri (8167m) and the Tibetan ranges—Kugung La and Khyung La. 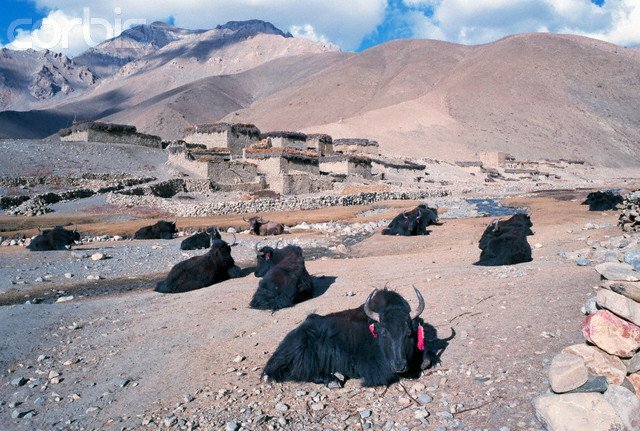 During summer, we can see the caravans of yaks and sheep heading towards their destination. 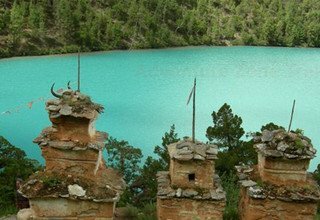 Another highlight of the trek includes the pristine turquoise Phoksundo Lake, split between rocks that rise 2000m into the clear mountain skies. 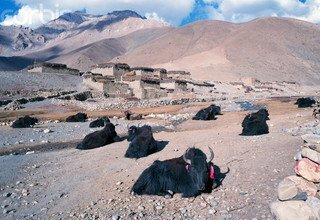 The Dolpo region is populated by Tibetan and Magar people who still practice the pre-Buddhist Bon Po religion. The trek also includes visits to the ancient monasteries (gompas) and Bon Po shrines surrounding the Phoksundo Lake. 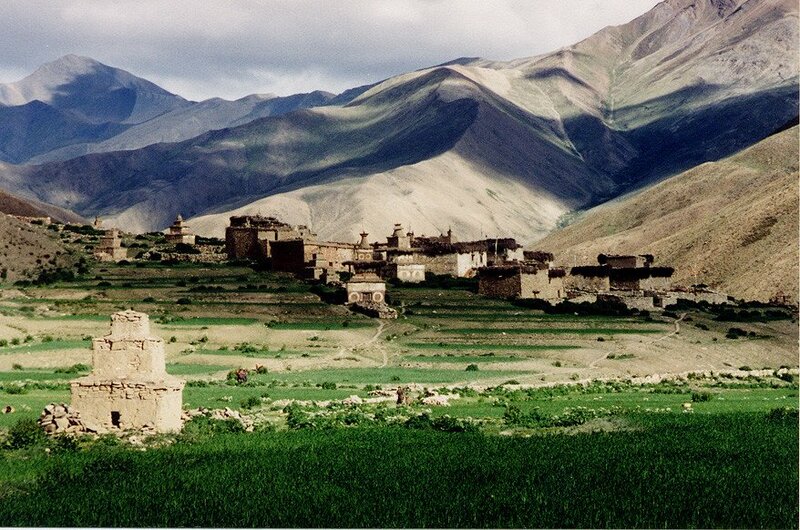 All in all, Lower Dolpo Trek is ideal for those trekkers who love wild adventures. Swiss Family Treks and Expedition is the finest and well-reputed trekking organization based in Kathmandu. Our company has been dominating the tourism industry since 2003. We believe in providing our clients with the best quality service making their trip to Nepal joyful and unforgettable. We try our best to fulfill all the possible expectations of our clients and also provide different kinds of packages based on the clients' flexibility. As you land in Tribhuvan International Airport, our team representative will meet you there and transfer you to your hotel in Kathmandu. Overnight in hotel. Leaving the Kathmandu city behind, we fly to Nepalgunj enjoying scenic views throughout the flight. Nepalgunj is an important business center for many regions as it is located in the western part of Nepal, near the Indian Border. Later in the evening, we can stroll around the busy markets of Nepalgunj. Overnight in hotel. Today we catch a 35-minute long flight to Juphal from Nepalgunj. As we land in the Juphal, our trekking journey starts. We descend through local villages and terraced fields to the Bheri River. The trail continues by the riverside and passes by the Roop Ghar with water mill to finally arrive in the village of Dunai. Overnight in lodge. Today we trek to Tarakot following the upstream trail that banks Bheri River. We trek along the leveled path filled with beautiful landscapes in the background to reach Tarakot. We also come across deep gorges, hanging bridges, and isolated villages as we climb over the hill. As we continue to trek further, we are greeted with dry stones and cultivating colorful terraced field of Tarakot, which is an old fortress town located on a hillock to the south of Bheri River. Overnight in lodge. We follow the trail on the southern bank of Bheri River that leads us to the open valley. We then head east alongside the Bharbung Khola to reach Laisicap and cross the main river. We now follow the flow of Tarap Khola and head north to Khanigaon which offers the wonderful view of Sandul Gompa across the valley. Relishing the view of Putha Hiunchuli (7246) and Churen Himal Range, we make a final ascend on the steep trail to reach Laina Odar. Overnight at Lodge. Today the trail follows through the deep gorge of Tarap River, ascending high above on a trail made out from steep slopes. The trail becomes relatively open and easy as we move further. We continue our trek on wooden planks and flat stones that brings us to Chhyugar. 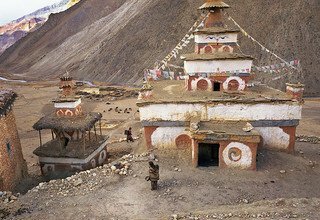 We then cross a small stream and a couple hours of the trek from there brings us to Toltol, which is a winter settlement for the people of Upper Dolpo. Overnight in lodge. Moving alongside the bank of Tarap River, we gradually ascend towards Kamattarka, which is the junction of Tarap Chu and Lang Khola. Crossing a narrow gorge, we leave the tree line and enter the forested path full of wild rose and juniper bushes to reach the village of Dho Tarap. Dho Tarap is a wonderful village surrounded by stone walls and used to be a famous trading point to the traders of Tibet and Mustang in the old days. Overnight in lodge. To adjust with the thinning air, we take a day off from trekking and spend a day exploring Dho Tarap. We spend the rest of the day visiting the monasteries near the area and take an opportunity to learn and understand the local culture, their tradition, and lifestyle. The people of Dolpo wear homespun clothing and prefer Tibetan style somba (boots with upturned toes) for shoes. Most people here follow Bon-Po and Nyigmapa religion. Overnight at Dho Tarap. Today we head towards Numa La Base Camp, moving alongside Tarap Chu River and ascending uphill towards Tokyu, which is a traditional village with graceful Kani gait and old-fashioned houses. From there, we cross a bridge to Khanger and head northwest direction of the main trail. We then continue to trek through the rugged trail to reach Numa La Base Camp. Overnight at camp. Today we begin to trek towards Numa La Pass (5310m), which is going to be difficult. We ascend through steep trail up on top of endless ridges on the rugged and rough trail. Once we reach the top, we are rewarded with the extraordinary views of Mt. Dhaulagiri (8167m) and Churen Himal Range along with Norbung Kang (6085m). After spending some time, we descend alongside the Gyambo Khola followed by the beautiful meadow of Danighar. Overnight at tented camp. Leaving behind Danighar, we head towards Temche via another pass, Baga La (5170m). We make a steep ascent along the shabby yak trail. As we move higher, we might require extra efforts due to rapid gain in elevation. 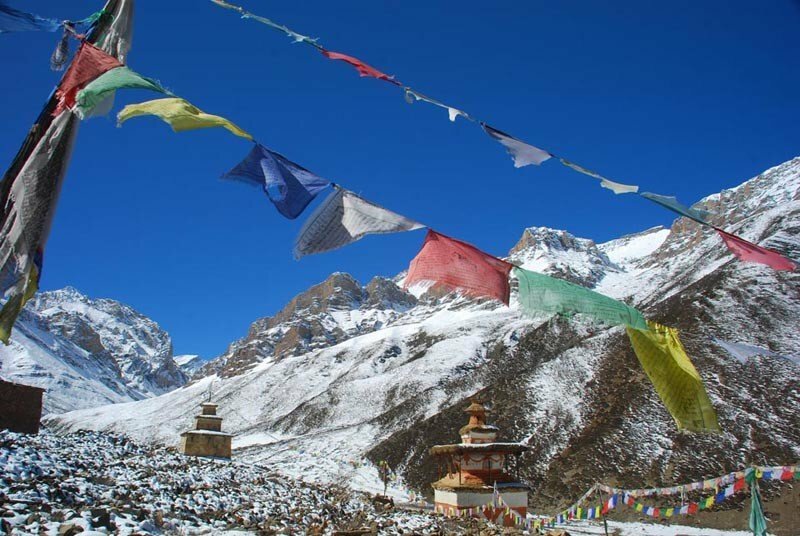 The top of the pass offers sacred Chortens with a majestic view of Norbung Kang (6085m) and other peaks along with the mesmerizing Phoksundo Lake. We then descend to a deep ravine and cross a frozen stream to reach Temche. Overnight at tented camp. 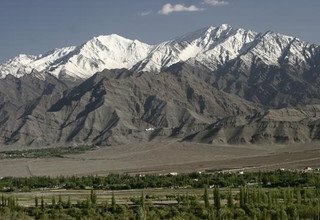 We descend to Yak Kharka from Temche at first and then ascend to the village of Ringmo passing through the forested path full of lush vegetation of oaks, pines, junipers, and cypress. 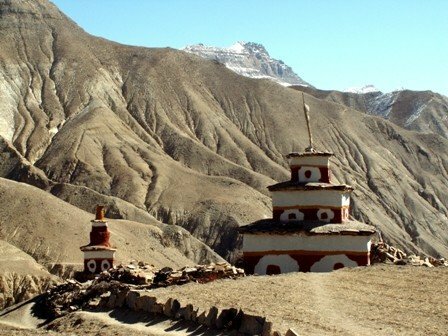 Accompanied by the amazing view of towering cliffs and a large waterfall, we make our way to Ringmo village, which is a famous Bon settlement in Dolpo region. A short walk from Ringmo leads us to the beautiful Phoksundo Lake. Overnight at tented camp. We take another day off from trekking and utilize this day to explore Phoksundo Lake and Ringmo village. 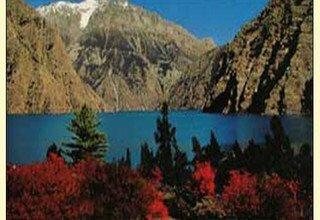 Phoksundo Lake is a beautiful turquoise color lake which is also considered the deepest lake in Nepal. We can get the scenic view of Ringmo village from the Lake. 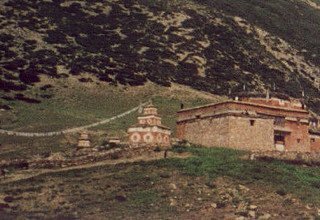 We explore nearby the Ringmo village and go to visit Tshowa (Bon Monastery), built 900 years ago. We also come across many beautiful glaciers above the lake area. Overnight at tented camp. Today the trek to Chhepka starts with a gradual walk along the riverside, followed by a steep ascent to the top of the hill which offers the last view of the beautiful Phoksundo Lake. From there, we descend for a while and make our way to Chunuwar. The trail then goes through forest area of pines and birches towards Rechi. With a gradual uphill and downhill climb through the trail, we finally arrive in Chhepka. Overnight in lodge. Leaving Chhepka, we head towards Juphal passing through the village of Shyanta and Kageni. From Shyanta, we trek through a forested path that leads us to the check post of Shey Phoksundo National Park. We then cross the metal suspension bridge over Dhim Khola and make our way to Juphal, trekking along the narrow path and beautiful fields of barley and wheat. Overnight in lodge. We catch an early morning scenic flight to Nepalgunj from Juphal. Upon reaching Nepalgunj, we catch our next flight back to Kathmandu. We transfer you to the hotel in Kathmandu and give the rest of the day to yourself to relax and rest. Later in the evening, you can try out the local eateries in the capital city. Overnight in hotel. We keep an extra day in case the flight gets canceled due to bad weather condition or delayed due to some reasons. Overnight in hotel. Our team representative drops you off at Tribhuvan International Airport before your scheduled flight. * 4 nights deluxe accommodation with breakfast at 3* hotel in Kathmandu and standard hotel in Nepalgunj. * Tented accommodation during the trek. * 1 experienced, helpful and friendly guide, 1 cook and necessary porters (1 porter for 2 peoples), their food & accommodation, salary, equipment and insurance. * All domestic flights and airport tax. * Any meals (Lunch and Dinner) in Kathmandu and Nepagunj other than breakfast. * Horse renting during the trek.